The hotel last night was the first I went to on this trip other than the two nights with Fritz near Gotthard Pass. Those felt different though, Fritz was there with me and they were small, local places, with inn keepers who doubled as cooks in the kitchen, who would sit and talk about the news of the day. Last night was a cookie-cutter room in a low budget place just off a freeway. I went because it was cheap and I needed a night with a power outlet. It was mostly quiet other than a few voices filtering through the thin walls as people passed in the hallway. I left a rugby game on the TV just to have some noise as I lay stretched out on the soft mattress. I didn’t even realize it rained until I looked out in the morning and saw puddles in the parking lot. Montpellier took a long time to walk across. It seemed half-asleep today, taking Sunday off as I drifted from the outer villages to the old town center, past the aquaduct, and out again. I found a perfect stealth camp just as night fell, a patch of flat grass near a highway, but hidden by a wall of brush. You’d almost have to walk in a spiral to find it. The kind of place no one would notice or care. I set up quietly and slipped inside my tent for the night. Wind whipped through the air outside, snapping trees back and forth like blades of grass and crashing apart against my wall of brush. Cars passed, their engines rumbling towards me and away. Music blared out of open windows into the night. Stars twinkled through the mesh of my tent’s door as the clouds broke and disappeared. The moon gave light then set. The temperature dropped, but not too cold. The first hint of dawn nudged me awake into a new day. Hot showers, beds, walls and roofs, they are all so seductive, but they are just a box and a bed, cut off from the world by design. I’d rather lay through what comes, sometimes awake, sometimes asleep, sometimes halfway between, but always aware, like a finger pressed to a vein, feeling the pulse of the world beating around me. 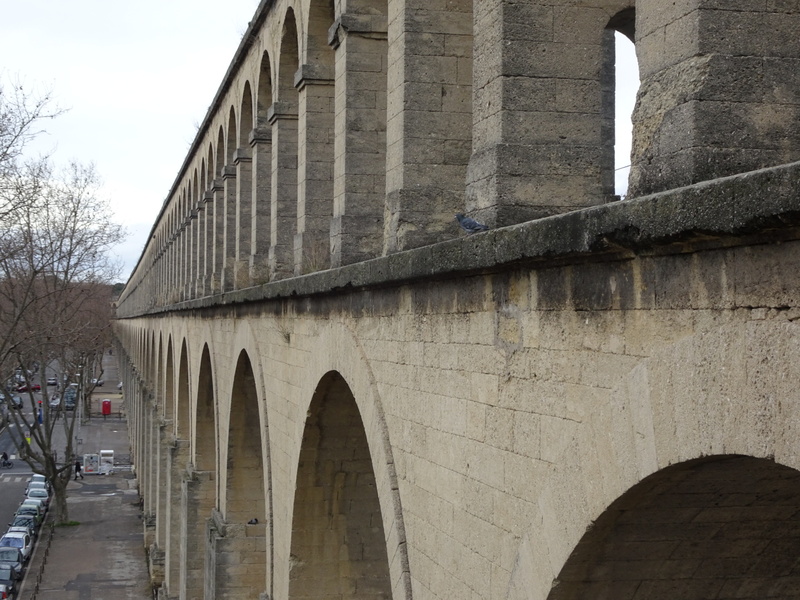 Nice aqueduct. You have adapted well to your life of trails and tents and now it is just part of who you are. How will you ever live in a house in FL again?